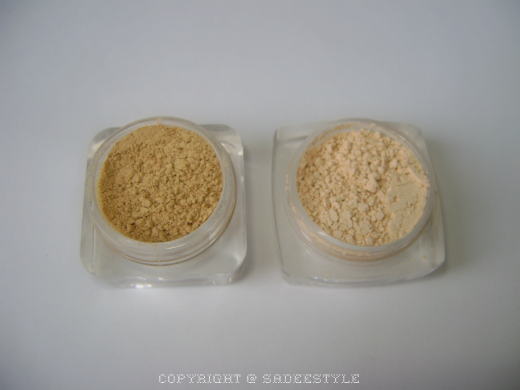 I have reviewed about mineral makeup about few days back and now become a fan of mineral product so this time writing a review on Lumiere mineral cosmetic. My package arrived with 3 eye shadows Green Glimmer, Foliage , Twilight Green 2 bronzer/blusher California Gold and Hibiscus also with 2 loose mineral foundations Fair Golden (Formerly Fairly Light Golden) and Light Medium Golden. 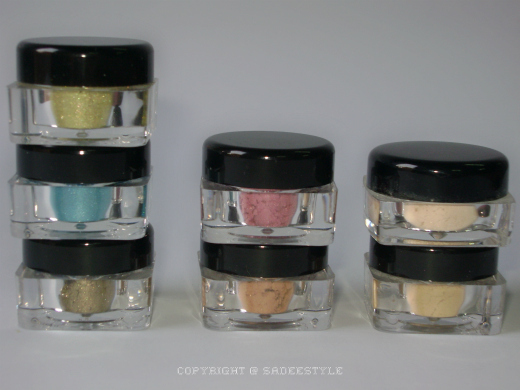 They have the widest range on eye pigments. I have chosen three of them Glimmer Green, Teal Shimmer and Foliage. I was afraid enough to use mineral pigments because of the fall out while wearing them on they can ruin the eyelook also they do not stay for long and makeup become fade after sometime, but this thing never happened to the Lumiere Cosmetic.They are very shimmery and staying power is awesome. They blend so well and do not fade. 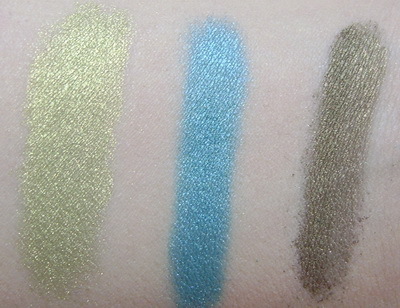 I'm sharing some swatches to show the pigmentation of the eye shadows. I would recommend you to wear a good primer before applying them on, It will increase the staying power upto 6 or 7 hours. 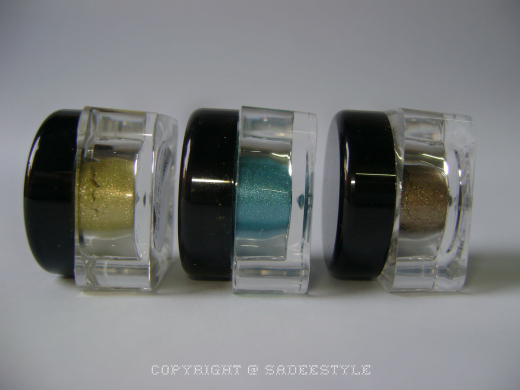 These eye pigments come in a small jars and the shadow I love the most is Teal shimmer. It's a most beautiful teal I have ever seen in mineral range. It's an amazing color and very unique. I also like the Glimmer green. 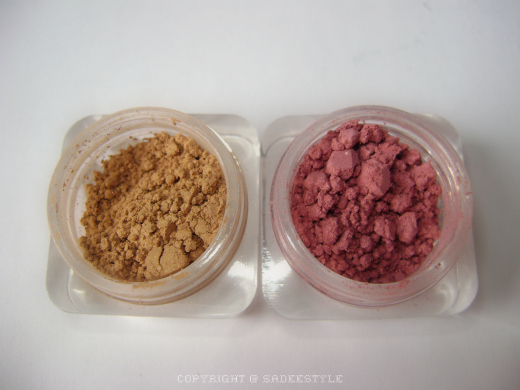 It's also very pigmented they both could make a beautiful combo look If you blend them well, but foliage color is just fine as i don't like to wear dark shades and I personally don't find it overly pigmented compared to other shadows mixed feeling about this one. Foliage will surprise you with its complexity. 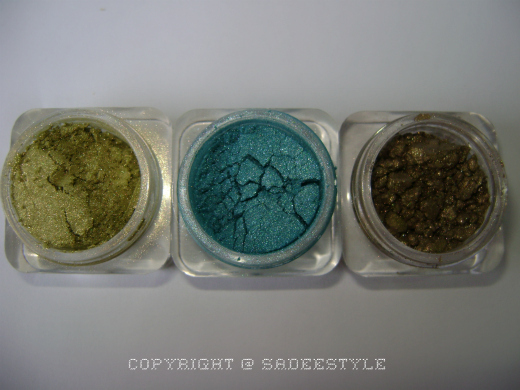 Along with the army green and brown base, it has a golden glow which really brings out the green and golden flecks in hazel eyes. Wonderful mid-tone color in a smokey eye combo as well. A sophisticated pink-plum color without a trace of brown. Formerly Fairly Light, this is the SAME EXACT color as before, just a name change. 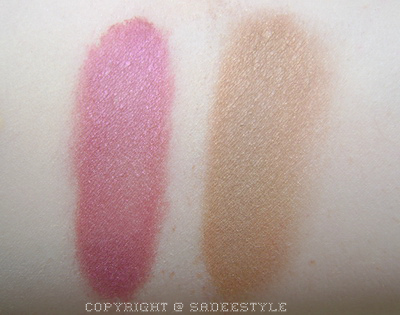 these eyeshadows looks very beautiful! Love the Teal Shimmer.